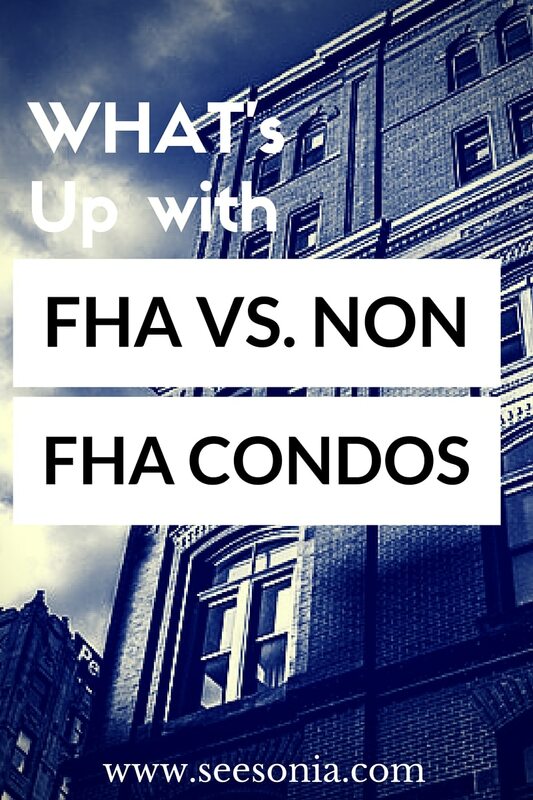 What is up with FHA approved Condos vs. NON-FHA? I recently got an inquiry from a lady named Susan, who was looking at my down payment assistance video. She said that she was interested in buying a condo on the north side of Chicago in the Andersonville community. She said that she needed some down payment money and had very good credit. She was a single lady who had no intention of buying a big house and she wanted something that was low-maintenance. I suggested a condo. After speaking with her for about an hour, I found out that she didn’t have very much money in the bank but she had very high income and had just recently closed down her side business. I asked her to speak with a loan officer, and when she did she was only able to receive a very small down payment amount. The loan officer only qualified her for an FHA (Federal Housing Administration) loan. An FHA loan allows for 3.5% of a down payment and the typical minimum credit score is 620. Once I new what she qualified for it turned out to be no good because it would limit the amount of condos we could see. You see, if you are in the market for a condo and your loan is via FHA, the pool of condos is limited because the condo building must be FHA-approved. In order for the building to be approved it has to go through some requirements like these below. Commercial Space – No more than 50% of property can be used as commercial space. Delinquent Dues: No more than 15% of units can be arrear more than 60 days. No more than 50% of the units can be Rentals / Investor owned. Sufficient Budget required – at least 10% of budgeted income must go toward a reserve account. Master or Blanket – Must be 100% of replacement cost of condominium, not including foundation or land. Fidelity Bond (aka Employee Dishonesty or Crime Insurance) – for communities with 20+ units. With the requirements above it is no wonder most buildings in Illinois are not FHA-approved. They require a lot of items, hence, if you are in the market in search of a condo please make sure you have conventional financing, otherwise you will be looking for a while. You can get conventional financing with just a 5% down payment and a credit score of 640; this will allow you to buy condos anywhere. Conventional loans require buyers to make a minimum 5% down payment on a home. Because this is a conventional loan, and because the down payment is less than 20%, private mortgage insurance (PMI) will be required. Please keep in mind that even though you might have a conventional loan this will not mean you automatically will get a condo unit. The HOA (Home Owner’s Association) must have a good amount of reserves and your lender will also be looking into tenant-to-owner ratio within the building. Any questions? Feel free to contact me ?